I really love to garden. Even as a kid, I had a little garden next to my playhouse. My best friend and I would spend hours preparing the soil and planting the seeds carefully. We would weed and water and before we knew it, little vegetables were growing! We also grew some zinnias one year. Later on as I was married, I would try to garden here and there in whatever space I had available. I lived in this tiny apartment in Provo, UT and it had this little 4×4 plot of ground that was overrun with weeds…HUGE weeds. One day I decided to spend hours and hours of backbreaking work to get those weeds out and prepare the soil to be planted. That soil was virtually untouched and was amazingly fertile. It produced the most enormous tomato plant ever! And we drove by our old apartment a few weeks ago and I was happy to see that the people living there now still use that space to garden. Do you garden? It's bulb-planting season now. If you want the most beautiful garden of flowers for the spring, you need to plant your bulbs now! I am dying to plant some tulips and daffodils and maybe some dahlias. And bulbs are SUPER easy to plant–virtually no-fail for all you non green thumbers. You just dig a hole, drop it in, cover it back up, and you're done. They will take care of themselves for the spring. There was recently this contest called Curbside Chaos where a family won a backyard makeover. Check out to see who won! I would love a $5,000 yard makeover. We have a great yard with a beautiful view but there is this garden space that is a little lackluster. I would love to see some beautiful flowers and bushes with a stone edging. Actually what would be really awesome is if it could be raised up a little and a very short stone wall could be placed to keep it safer and my kids wouldn't wander into the garden. I would also love a set of stone steps going down the side of the house. Right now that if you share on Twitter with the hashtag #CurbsideChaos, "Bulbs. Dig, Drop, Done" they will donate $1.00 to Rebuilding Together–the nation's leading non-profit, working to preserve affordable homeownership and rebuilding communities. Bulbs are so easy, you really don't need to know anything about them to use them. 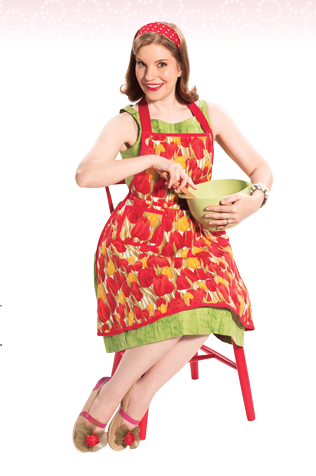 I don't know much–I'm like Marcy, the "Super Mom" who is a mom of three kids and wants to garden but doesn't have a lot of time so it has to be super easy. Find out who you are most like by visiting DigDropDone.com. I think bulbs can be used for more than just burying in the ground. You can put them in vases with a little bit of water and they will sprout–a great thing for those dull winter days. Or you can give them as gifts, since they are so simple to use they will be well appreciated! 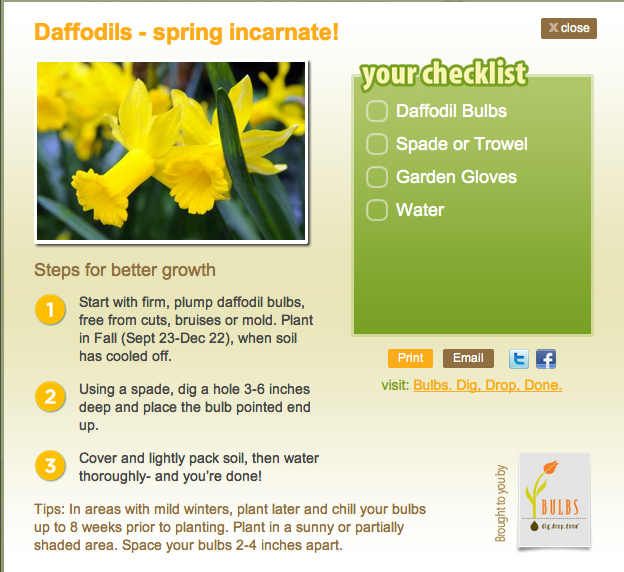 visit www.digdropdone.com to learn more about how you can use bulbs this fall! It looks like I’m Evelyn, although I my nest still hasn’t emptied yet! Haha! I love Spring bulbs, Hyacinths are my favorite, just love that wonderful fragrance! Great post! I love bulbs, but rarely plant them. I have a lot of them, but they’ve been around forever.